Scott Alan Carson, "The Stature and Body Mass of Mexicans in the Nineteenth-Century United States", in Journal of Interdisciplinary History, Vol. 39, No. 2, Autumn 2008, pp. 211-232. 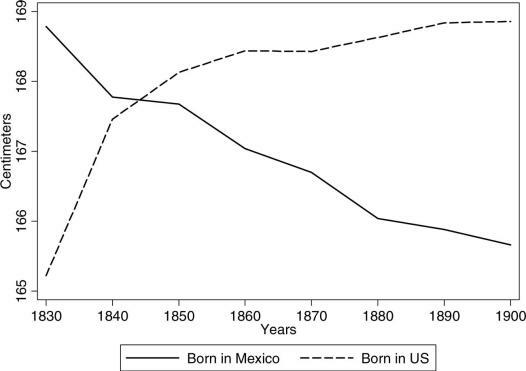 Data taken from nineteenth-century American prison records reveal that the statures of Mexicans born in Mexico declined, whereas the statures of Mexicans born in the United States increased. The body mass indexes of both Mexicans born in Mexico and in the United States, however, remained approximately constant throughout the nineteenth century. The evidence suggests that even though the two groups shared a common background, their biological living conditions differed markedly. 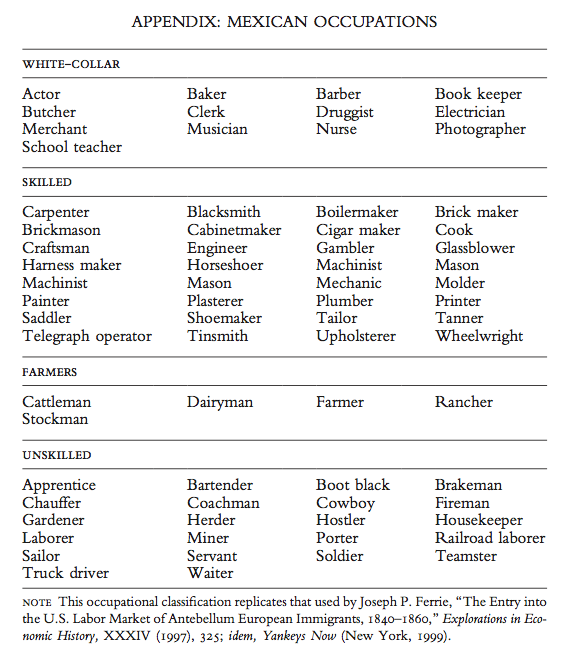 This list seems to leave off the occupation poet. But then, in which category would it go?